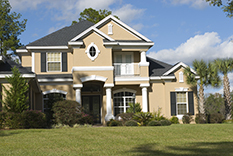 We offer a full range of Pinellas property management services tailored to you as an investor, homeowner, or landlord. We have an extensive portfolio of single family homes, townhouses, condos, and apartments in the Pinellas area. The name Pinellas is derived from the Spanish words Punta Pinal meaning "point of pines." That was an accurate description for this area when it was discovered by Panfilo de Narvaez in 1528; 36 years after Columbus arrived in the Caribbean and 37 years before the founding of St. Augustine. Narvaez and 400 soldiers, probably the first Europeans in this area, came looking primarily for gold and silver. Earliest inhabitants of Pinellas were Native Americans and many large Indian shell mounds have been found throughout the County. One of these is located at Pinellas County’s Philippe Park in Safety Harbor. Pinellas, originally a part of Hillsborough County, became a separate county in 1912. When first formed, its population was 13,193. The 2010 Census estimated Pinellas County's year-round population at 916,542. When compared with Florida’s 67 other counties, this estimate shows Pinellas County to be the most densely populated county in the state. Pinellas’ location provides an ideal year-round climate—cold winds are tempered in winter and warm breezes are cooled in summer as they blow over the Gulf of Mexico and Tampa Bay. 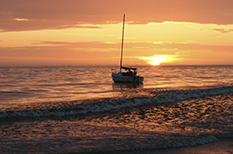 Pinellas enjoys a year-round reputation as a tourist destination with attractions appealing to singles, couples, retirees and families. Retirement living is also important to Pinellas County’s economic health. Pinellas County’s top key business sectors are health services, tourism services, manufacturing and financial services. Over 38,000 businesses call Pinellas County home.